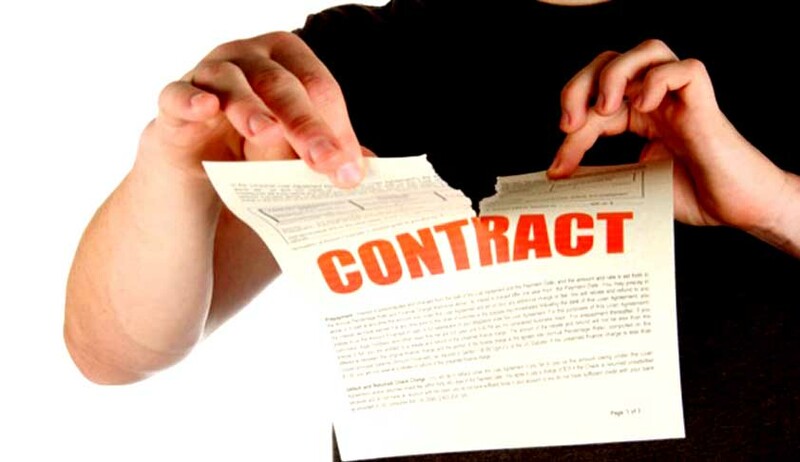 When and to what extent, can the stipulated liquidated damages for breach of a contract be held to be in the nature of penalty, in absence of evidence of actual loss? To what extent the ‘stipulation’ be taken to be the measure of compensation for the loss suffered even in absence of specific evidence? Whether burden of proving that the amount stipulated as damages for breach of contract was penalty is on the person committing breach? The Respondent DDA had entered into an agreement with the appellant for constructing a sewerage pumping station at CGHS area at Kondli Gharoli at Delhi. Since the work proceeded at slow pace and the appellant-defendant failed to complete the same, the contract was terminated. As per Clause 2 of this agreement, the Superintending Engineer of the respondent levied compensation of Rs.20,86,446/- for delay in execution of the project by an order of penalty and called upon the appellant to deposit the same. On failure of the appellant to respond to the above order, DDA filed a suit before the Delhi High Court for recovery of the said amount with interest. the basis for levy of compensation had not been indicated so as to determine whether the compensation claimed was reasonable. On appeal, the DB reversed the view taken by the single Judge. It was held that delay in a contract of construction of a public utility service could itself be a ground for compensation without proving the actual loss. Accordingly, the suit was decreed for payment of Rs.20,86,446/- with pendente lite and future interest @ 9% per annum placing reliance on ONGC v. Saw Pipes Ltd. [AIR 2003 SC 2629]. The review petition filed against this judgment was also dismissed and the doors of SC were therefore reached. The main contention of the appellant was that the contract in question clearly showed that the compensation shall not exceed 10% of the estimated cost which was required to be determined by the Superintending Engineer. Without determining that the stipulated compensation was reasonable, the maximum amount stipulated could not be treated as compensation. The respondent/plaintiff however submitted that even though in the order passed by the Superintending Engineer no specific basis has been shown, notice was duly issued before determining the reasonable amount of compensation and claiming 10% of the project cost which was stipulated to be the maximum compensation, on account of delay in execution of the project. On failure of the appellant to respond, the entire amount had been rightly held to be the estimate of damages for the loss. Burden was on the defendant to show that no loss or lesser loss was suffered by the plaintiff. Court observed that there is no dispute that the appellant failed to execute the work of construction of sewerage pumping station within the stipulated or extended time. The pumping station was of public utility to maintain and preserve clean environment, absence of which could result in environmental degradation by stagnation of water in low lying areas. Delay also resulted in loss of interest on blocked capital. In these circumstances, loss could be assumed, even without proof and burden was on the appellant who committed breach to show that no loss was caused by delay or that the amount stipulated as damages for breach of contract was in the nature of penalty. Even if technically the time was not of essence, it could not be presumed that delay was of no consequence. Court relied on Saw Pipes Case in which Sections 73 and 74 of the Indian Contract Act were discussed. It was observed that Section 74 emphasizes that in case of breach of contract, the party complaining of the breach is entitled to receive reasonable compensation whether or not actual loss is proved to have been caused by such breach. Therefore, the emphasis is on reasonable compensation. If the compensation named in the contract is by way of penalty, consideration would be different and the party is only entitled to reasonable compensation for the loss suffered. But if the compensation named in the contract for such breach is genuine pre-estimate of loss, which the parties knew when they made the contract to be likely to result from the breach of it, there is no question of proving such loss or such party is not required to lead evidence to prove actual loss suffered by him. Burden is on the other party to lead evidence for proving that no loss is likely to occur by such breach. If the compensation named in the contract is by way of penalty, party is only entitled to reasonable compensation for the loss suffered. In absence of any evidence the Court has to proceed on guess work as to the quantum of compensation to be allowed in the given circumstances. The burden was on the one who committed breach to show that the amount stipulated as damages for breach of contract was in the nature of penalty. Partly allowing the appeal, it was declared that it can certainly be presumed that delay in executing the work resulted in loss for which the respondent was entitled to reasonable compensation. Evidence of precise amount of loss may not be possible but in absence of any evidence by the party committing breach that no loss was suffered by the party complaining of breach, the Court has to proceed on guess work as to the quantum of compensation to be allowed in the given circumstances. Since the respondent also could have led evidence to show the extent of higher amount paid for the work got done or produce any other specific material but it did not do so, only half of the amount claimed as reasonable compensation was awarded.